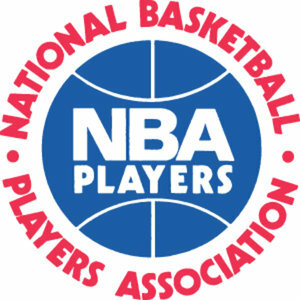 On June 30th the collective bargaining agreement (CBA) between the NBA and the NBA Players Association (NBAPA) expired; they have been locked out since July 1. For those who love the game, this is distressing. Negotiations on a new CBA have been fraught with difficulties because of the shaky financial position in which the league finds itself. It is difficult to make a blanket statement, however, as various teams are in different financial positions. The New York Knicks, the NBA’s most valuable team at $655 million – in excellent financial shape – have little to worry about. On the other hand, there are teams like the New Orleans Hornets, which has been taken over for the time being by the NBA. The team had been losing money and attempting to cover their losses. They borrowed money from their owners, the NBA, and they issued long-term debt. Finally, after being unable to stem the tide of losses, the NBA had to take over. It is a very legitimate question as to whether New Orleans can keep the Hornets. New Orleans is not the only city in danger of losing its team to relocation. Indiana and Sacramento are both also looking at a potentially empty future without professional basketball in their cities. It happened to Seattle, who lost their SuperSonics to Oklahoma City in 2008. Seattle has been mentioned as a popular choice should one of the teams currently in trouble have to relocate, which would be a dark irony, but this seems to be the state of play in the NBA. The financial troubles of teams in multiple NBA cities underscore the financial difficulties of the league as a whole. The NBA projects losses of about $350 million this year, and the owners want the players to bear the brunt of these losses by seeking to reduce players’ salaries by at least $750 million annually. They also seek to implement a hard salary cap, the elimination of guaranteed contracts, and increased revenue sharing. The owners must not have gotten the memo that LeBron James’s free agency experience had fundamentally shifted the league’s balance of power toward its players. Meanwhile, the NBAPA tells a different story, as you might expect. They recognize that the league is experiencing financial difficulties, but assert that the situation is not as dire as owners claim. Their proposals have been tweaks to the previous system, rather than the more general overhaul that the owners propose. Under the previous CBA the players received 57% of all league-related income. They have offered to trim it, but not nearly to the lengths the owners desire. The stakes are high, of course, and both sides have been working to gain the upper hand in the media. NBA Deputy Commissioner Adam Silver was quoted as saying “I’d like to say, from a fan’s standpoint, I don’t necessarily expect them to care how money is divided between players and owners. I do expect them to care about the quality of competition in this league and one of the things that we presented to the Players Association is that we believe we can do a better job distributing the money we do pay to the players to insure that all 30 teams regardless of market size are competing for a championship.” There is a healthy amount of spin there, and the statement is based on a questionable premise – fans probably care that players are not getting taken advantage of by the owners, as the fans love and root for the players, not the owners.